All great wardrobes have one thing in common: a strong foundation of essentials. 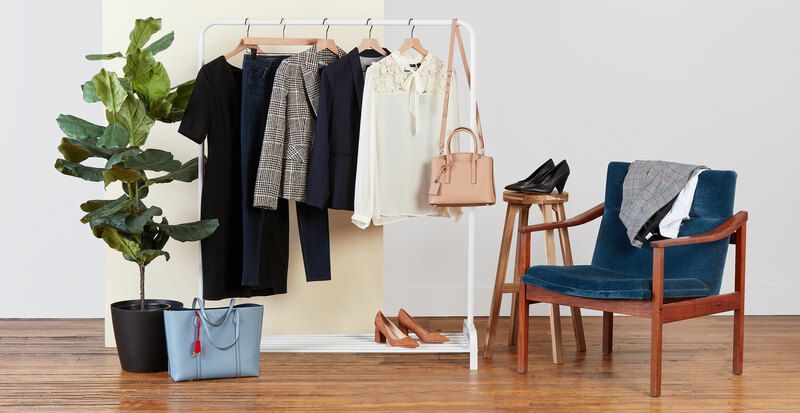 From great-fitting jeans to wear-anywhere dresses, these wardrobe basics are the pieces you’ll reach for time and time again. 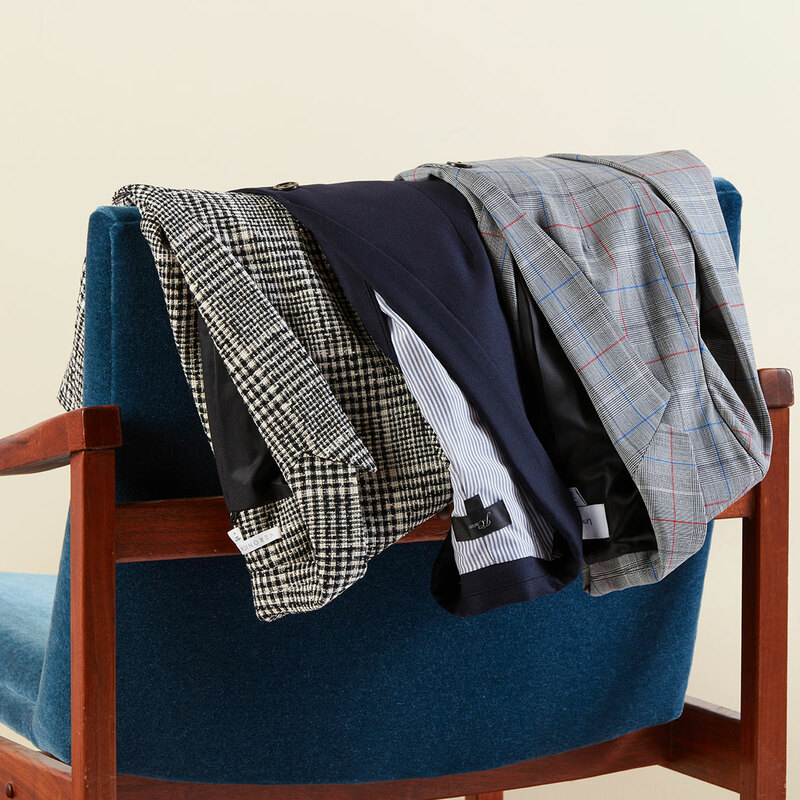 Not only does a curated collection of staples help make getting dressed an easier task, but you can also count on them to help you feel your best, most comfortable self. Keep reading for our list of women’s wardrobe essentials. When it comes to a classic blazer, fit is one of the most important factors to consider. Too small and you’ll feel uneasy, or too big and your outfit won’t look as polished. A properly fitted blazer should have shoulder seams right where your shoulders end and sleeves that hit the top of your thumb when your arms are resting at your side. After you find one that fits, you’ll need to know how to style a blazer. Dress it up with a coordinating pencil skirt for the office, or dress it down with a pair of dark skinny jeans and a crisp tee for happy hour. 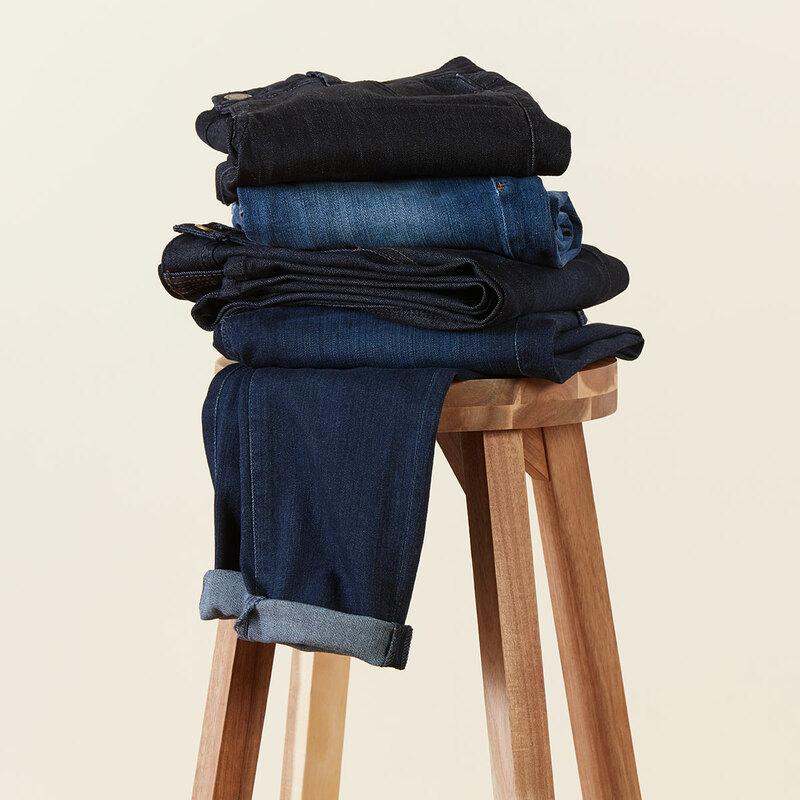 Dressier than light-wash jeans and more casual than traditional trousers, dark denim is as versatile as it comes. The best part about having a dark wash is that it lends itself well to just about anything. To add a variety to your selection, look for different silhouettes that are flattering for your frame. Our must-haves include a a pair of cropped skinnys to wear with flats and bootcut jeans for days we want to wear heels. What’s timeless, classic, and always a good option? The trusty little black dress. This essential piece is great because it can stand strong all on its own, or be accessorized to fit your mood. If you prefer a simple dress that can be worn with blazers and bomber jackets, go for a streamlined midi. If an LBD that stands out is more your speed, it’s all in the details—a fresh silhouette or eye-catching trim is what you’ll want to look for. Tuck one into your favorite jeans. Wear it under a cardigan. Roll up the sleeves. Knot it in the front. 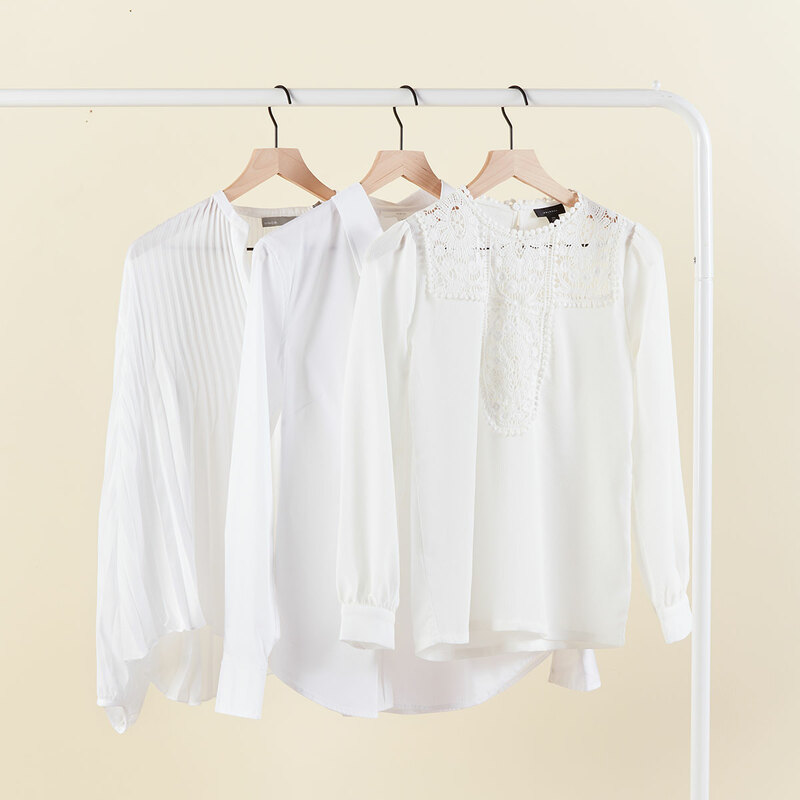 No matter how you choose to wear your long-sleeve blouse, one thing is true: the options are as plentiful as the styles they come in. A classic button-down made from stretch cotton is essential, but we like to have a few on rotation with interesting details such as fun pleats or flirty cutouts. From demure kitten heels to daring four-inch stilettos, there are few pairs of shoes as versatile as the pointed-toe pump. Not only does the point help elongate your legs, but it also kicks any outfit up a notch. Need to dress up your jeans? A pair of leather pumps should do the trick. Want to wear a comfortable yet stylish shoe to work? Chunky heels will provide you with added support to stand tall. 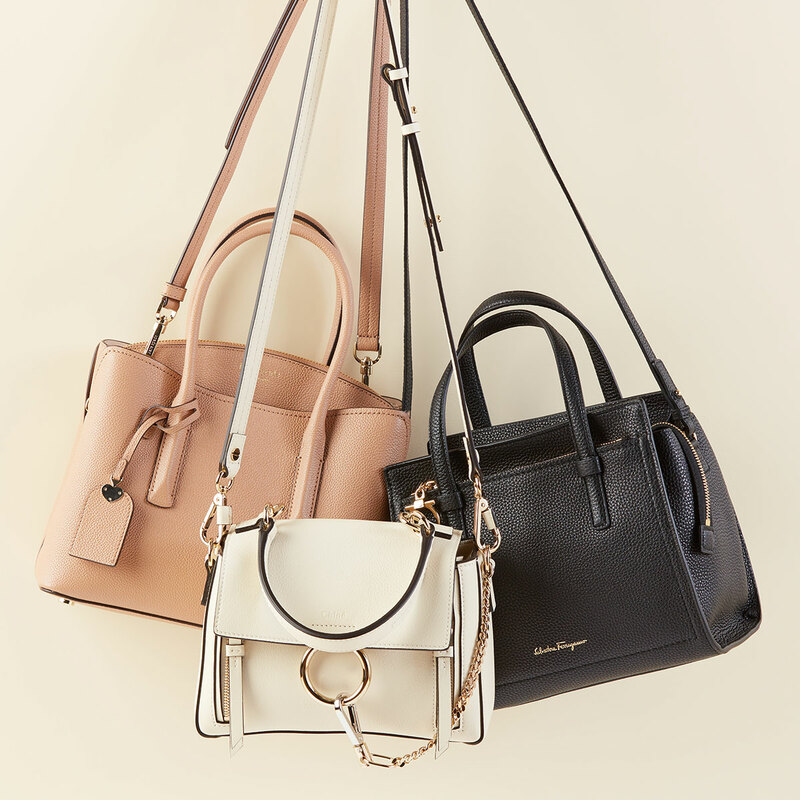 When it comes to investing in a purse that will stand the test of time, classic styles are the name of the game. A structured leather satchel, crossbody, or tote adds the right amount of polish to both work and weekend looks. Choose a size, color, and silhouette that reflects your personal style and is neutral enough to play well with the majority of your wardrobe. To ensure your bag’s longevity, wipe it down with a damp cloth and stuff with bubble wrap to hold its shape when not in use.